U.S. President Donald J. Trump delivers his remarks to a crowd of invited guests in St. Charles, Missouri on November 29, 2017. 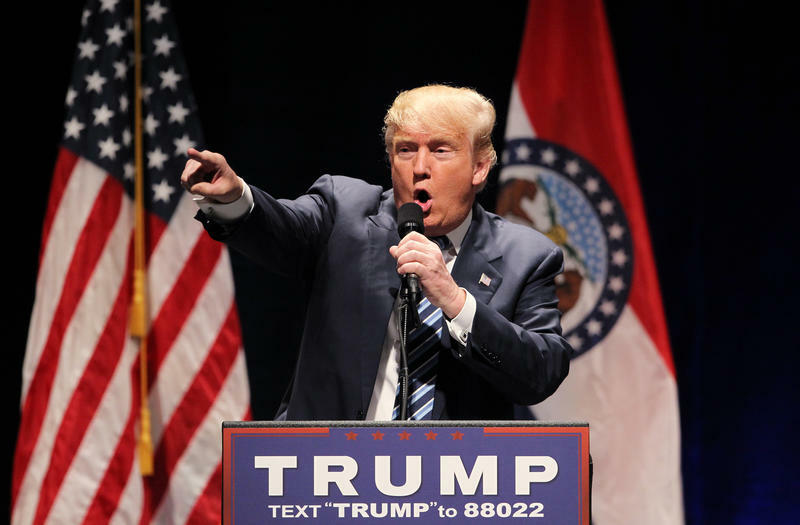 Trump promised to return to Missouri next year to help her best-known GOP challenger, Missouri Attorney General Josh Hawley, who the president repeatedly praised throughout his 46-minute speech. Hawley later posted on Twitter his appreciation for Trump's support. McCaskill countered later by asserting that the president was weak on tax cuts that help average working families. Besides mixing policy with politics, Trump's wide-ranging remarks also were laced with references to history, as well as jabs at allied countries who he said were taking advantage of the United States. “Our country was not treated properly for a long time,” he said. In his quest for better treatment, Trump said he was pressing for better trade deals and for other countries — who he did not specify by name — to shoulder more of the costs of their national defense that he said now are primarily borne by the U.S. But he began and ended his address by focusing on tax cuts. The U.S. House already has passed a bill, with the Senate expected to vote on a different version within days. Trump contended that the massive tax-cut proposals were the first federal trims since fellow Republican Ronald Reagan's tax overhaul in 1986. Trump didn't mention the major tax cut package approved in 2001 under another Republican, George W. Bush. Trump greets guests before delivering his remarks in St. Charles. Trump contended that he and other wealthy Americans won't benefit from the tax-cut package, although various nonpartisan reviews have contended otherwise. The president did defend the elimination of the federal estate tax, which now kicks in on inheritances above $11 million for a married couple. He said it was understandable that wealthy families wanted to leave their fortunes to their children without the offspring having to pay huge taxes. Trump highlighted what he said would be tax breaks for middle-class individuals and married couples, and he promised that companies would receive benefits that would prompt them to create more jobs. “These massive tax cuts will be rocket fuel to the American economy,” he predicted. St. Charles County has grown dramatically over the last few years, and has long been the fastest growing part of the St. Louis region and Missouri. The president highlighted several local entrepreneurs who he said exemplified the future. "If we want America to thrive in the 21st century, we must stop running from the competition," Trump said. "We must start winning and winning and winning again." 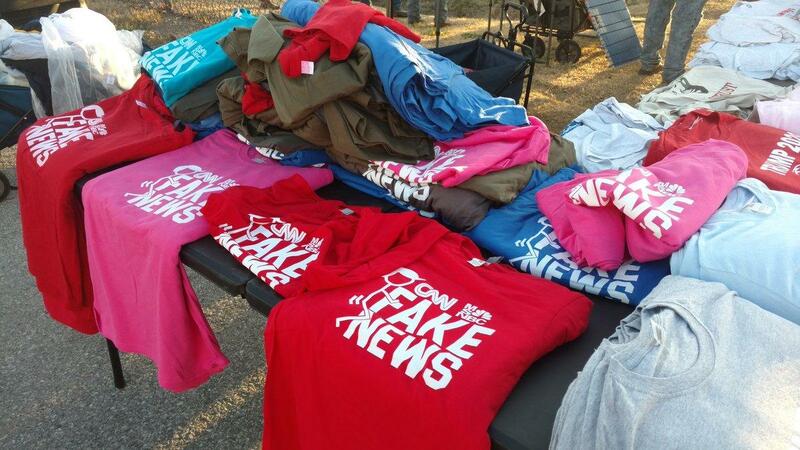 Fans of the president sold t-shirts during his visit to St. Charles. “He hit everything bull’s-eye,” she said. Pitzer’s husband lost his job when it went overseas, she said. And she sees Trump’s plans as the best way to bring back similar jobs. Opponents, including McCaskill, say the GOP proposals now primarily benefit the rich. "I’d jump at the chance to support a plan to deliver relief to Missouri’s working families, simplify the tax code, close loopholes exploited by the rich, and lower the corporate tax rate," the senator said in a statement. 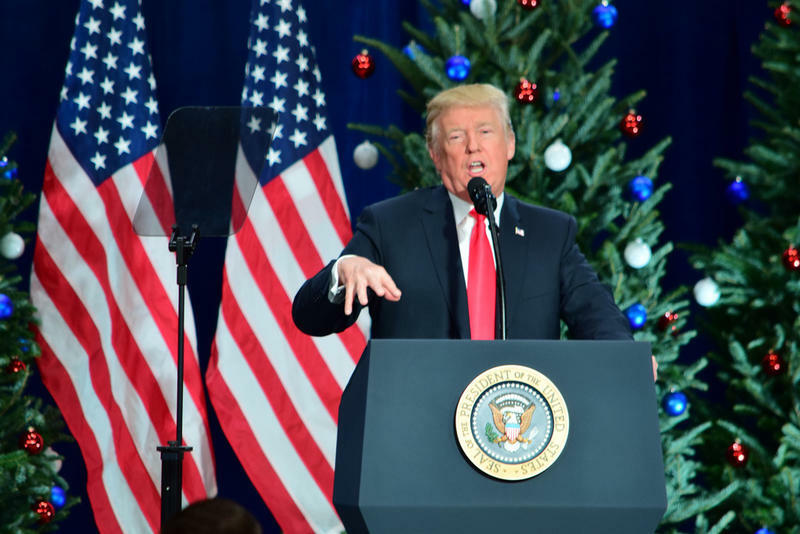 "The Republican-drafted tax plan would further complicate the tax code, keep open those loopholes, deepen the national debt, and give the vast majority of benefits to millionaires and billionaires, while working families get hurt..."
Signs declaring "Merry Christmas'' flanked the stage, which also included trees decorated with eagles. He left amid the strains of the classic rock song, "You Can't Always Get What You Want” by the Rolling Stones. 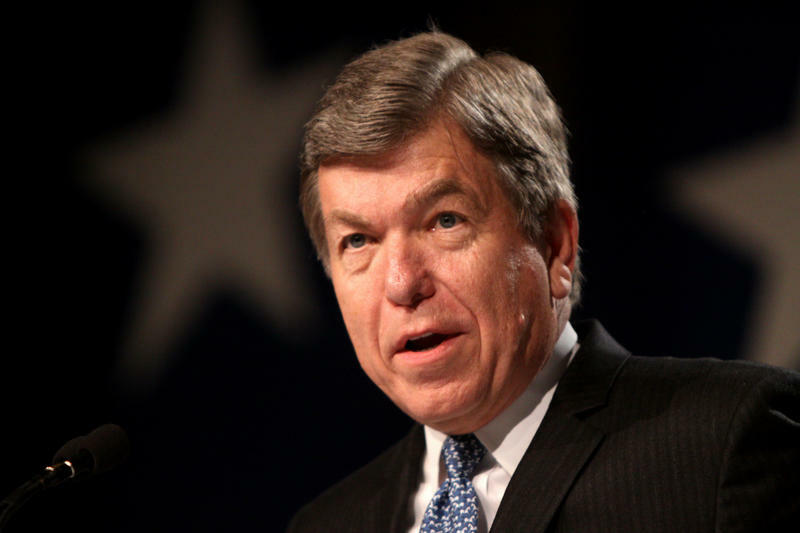 Speaking to a group of local health care professionals, Missouri U.S. Sen. Roy Blunt couldn’t resist deploying his renowned dry wit when he was asked about President Donald Trump’s social media feud with powerful Tennessee Sen. Bob Corker. 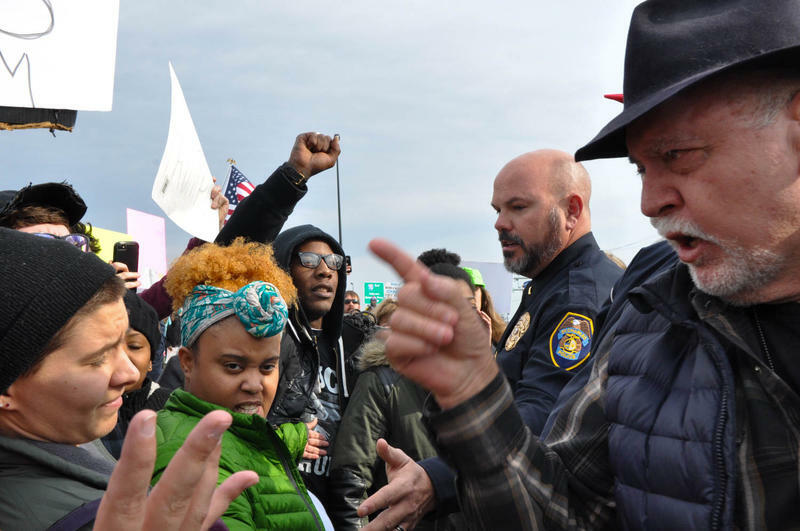 But while touching off laughter, Blunt said Tuesday that his fellow Republicans’ pointed exchanges could have serious consequences on some major policy issues. 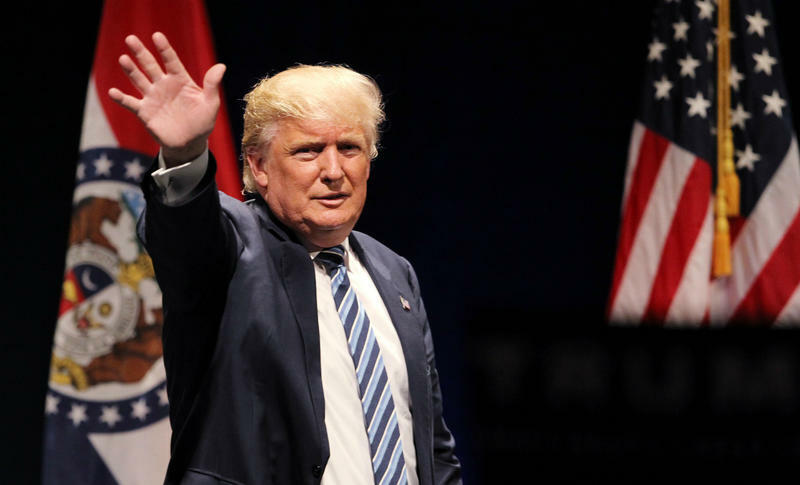 President Donald Trump will promote federal tax cuts on Wednesday during an afternoon event at the St. Charles Convention Center. This will be his first visit to the St. Louis area – and his second to Missouri — since taking office almost a year ago. 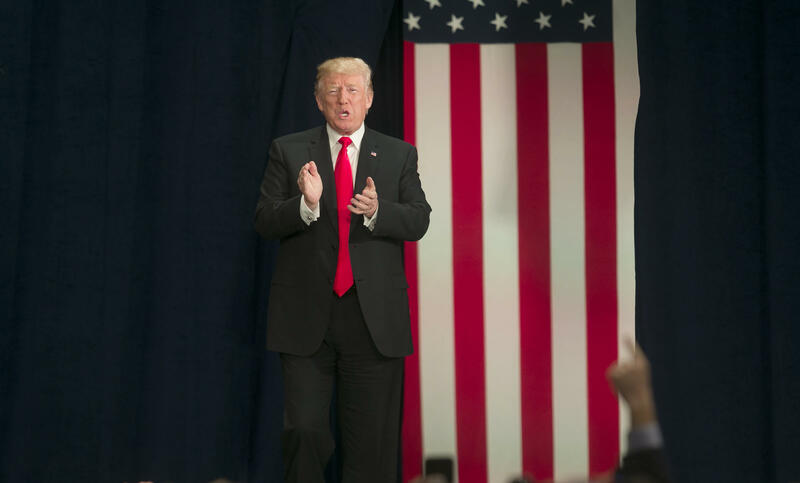 As President Donald Trump makes a pitch Wednesday for a federal tax overhaul, he plans to cast the city of St. Charles as an example of the “Main Street economy’’ he wants to help flourish across the country. That’s the word from senior White House officials, who briefed regional reporters ahead of time on Trump’s key topics during an address Wednesday afternoon at the St. Charles Convention Center.